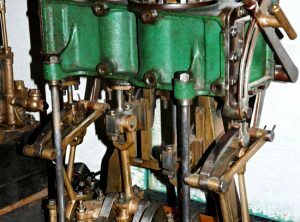 A single cylinder marine engine. 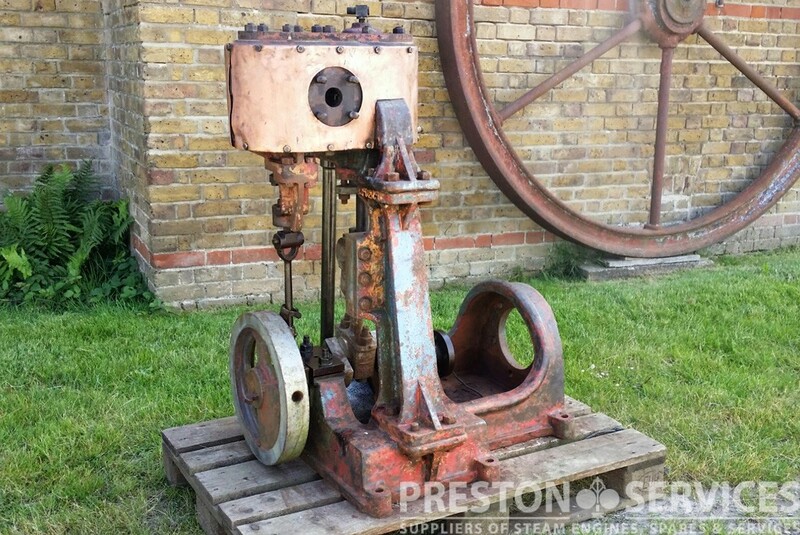 Piston valve with cast back standard, and on bed frame to drive a circulating pump. 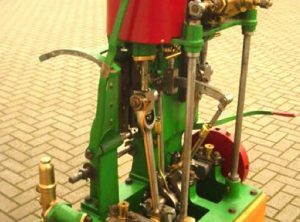 With flywheel and brass lagging. Complete with boiler, propeller and auxiliaries. 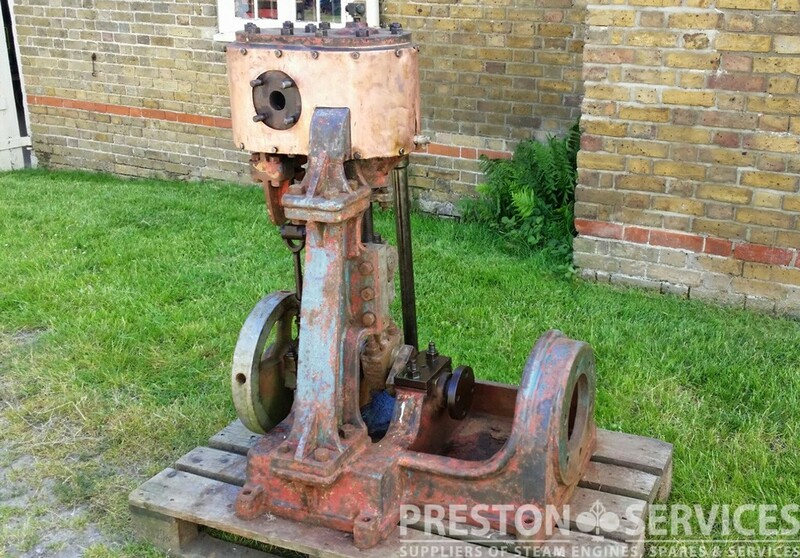 3″ + 3″ x 5″ Cylinders. 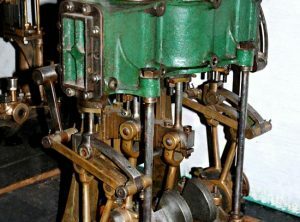 An English factory made marine steam engine with slide valves and Stephenson Link reversing gear. 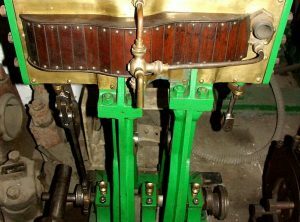 On cast standards and fitted with later toothed flywheel for belt work. For sale complete and in good condition. 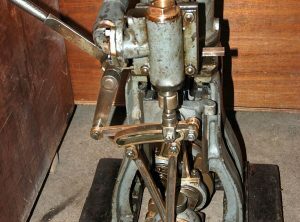 A continental built launch engine with link motion reversing gear. On turned front columns and cast back standards, with integral surface condenser. 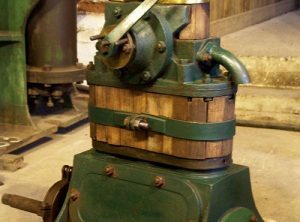 A high quality launch engine of around 40-50 HP @ 250 rpm, at 150 psi. Base 18″ x 14″, 32″ high overall. 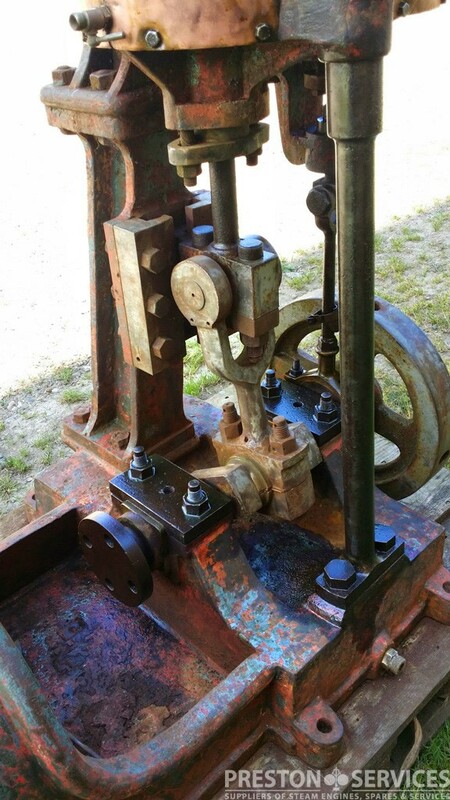 Slide valve with link reversing gear. 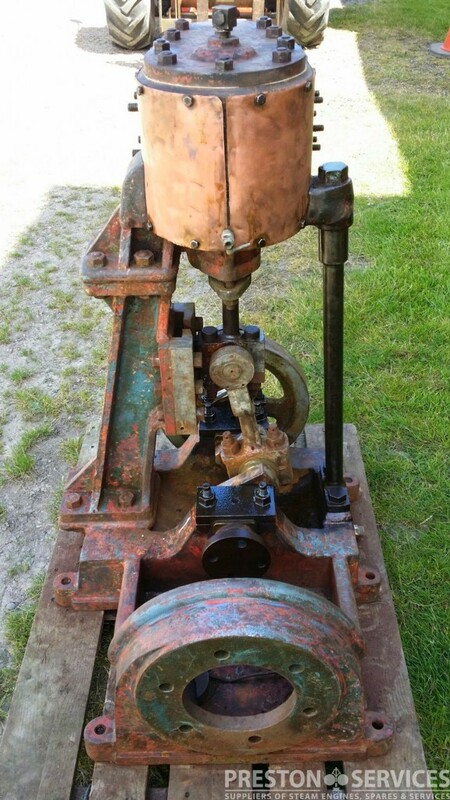 This is a very rare, if not unique enclosed type marine engine with reversing gear. 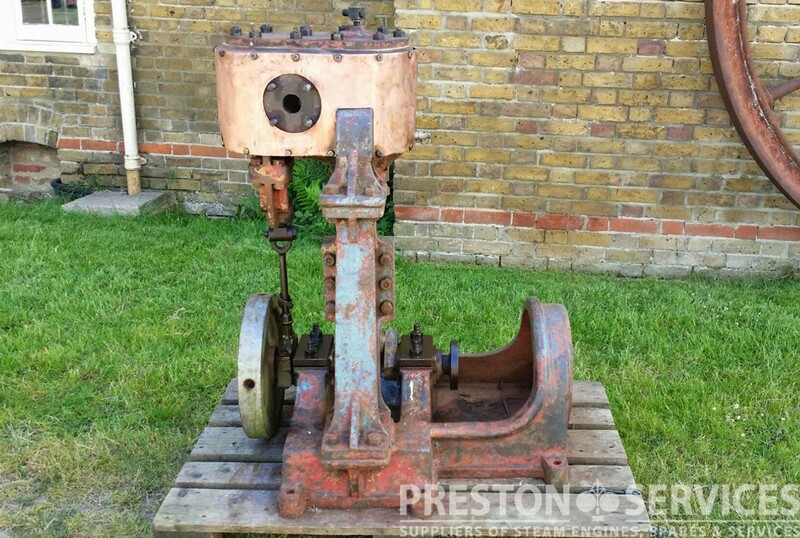 2″ x 4 1/2″ Cylinders ~ Approx 30″ High. 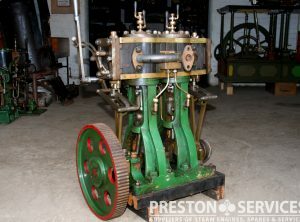 A very rare small enclosed marine steam engine. 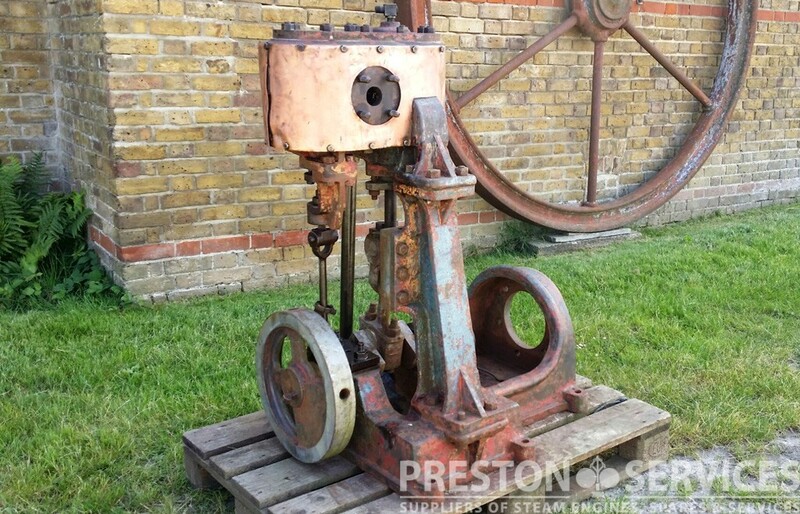 Designed for a small steam launch. and a museum worthy engine. 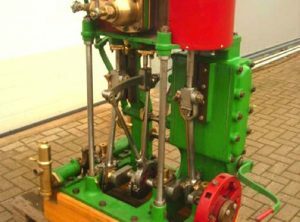 A British made steam launch engine. Approx 27″ High, and 14″ x 12″ Wide at Feet. 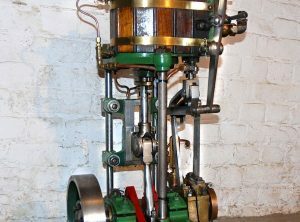 A circa 1920’s design with piston valves. Suitable for a steam launch. Overall 19″ High x 17″ Long x 10 1/2″ Wide. 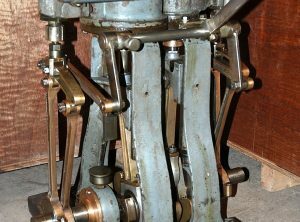 A very nice lightweight launch engine by the ‘Rolls-Royce’ of marine engine builders, Simpson Strickland of Dartmouth. 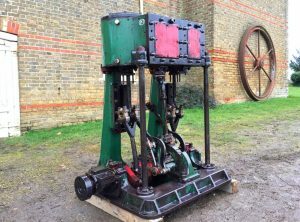 Cross compound with slide valves and Stevenson link reversing gear, and provision integral boiler feed and air pumps. Cylinder covers complete with maker’s engraved caps. 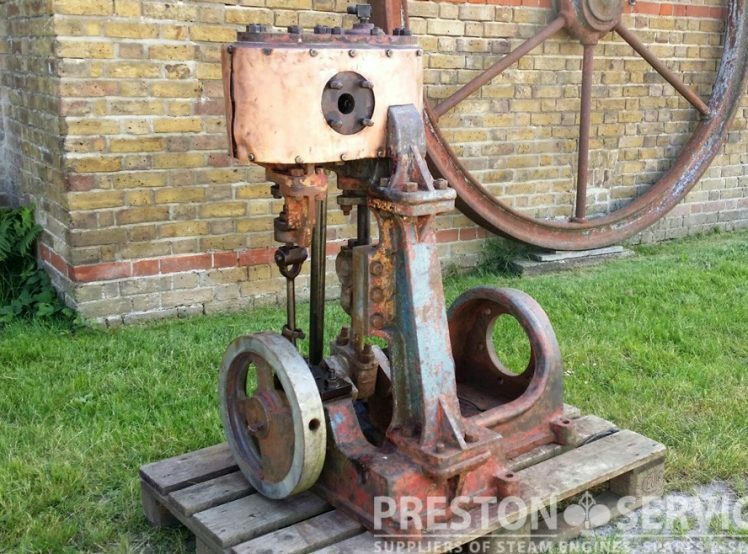 This small and elegant compound engine suitable for a medium sized river launch. 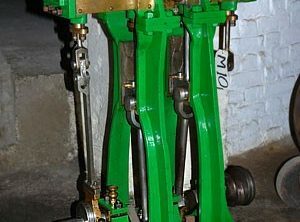 With slide valves, on cast standards. 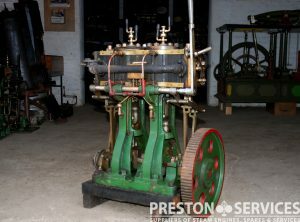 An early marine steam engine of elegant design. 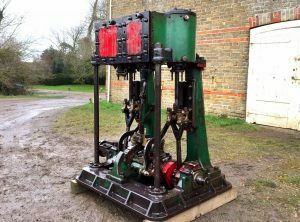 For sale in restored condition.